Initiated and funded by The Chicago Community Trust, the region’s community foundation, Chicago Matters is an annual exploration–via television, radio, print, and community dialogue–of an issue of broad concern to the Chicago region. Now in its 19th year, Chicago’s award-winning, multimedia public affairs series returns in 2009 with Chicago Matters: Beyond Burnham to to explore how our region can thrive in a global era. 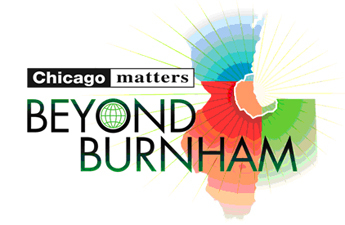 Click here to find out more about Chicago Matters: Beyond Burnham. The focus of this year’s Chicago Matters: Beyond Burnham series–”essentially to examine the challenges to and opportunities for a sustainable region–”is timely not only because of the 100-year anniversary of the Burnham Plan but also because of Chicago’s pursuit of the 2016 Olympic Games. Members of the communities that will be directly affected by the Olympics are raising many of the same questions, particularly those about economic opportunity and social equity. And it’s those questions that make the focus for this year’s Chicago Matters: Beyond Burnham series ripe for exploration by The Chicago Reporter. As Senior Editor Kimbriell Kelly highlighted last week during the official launch event for Chicago Matters: Beyond Burnham at the Chicago Architecture Foundation, we will capture our reporting, data analyses and storytelling in vivid magazine packages published in three bimonthly print editions, beginning with our July/August issue. We will also use our blog and our Web site to break news, update previous stories, and comment on the content provided by our Chicago Matters media partners, WTTW 11, Chicago Public Radio and the Chicago Public Library. 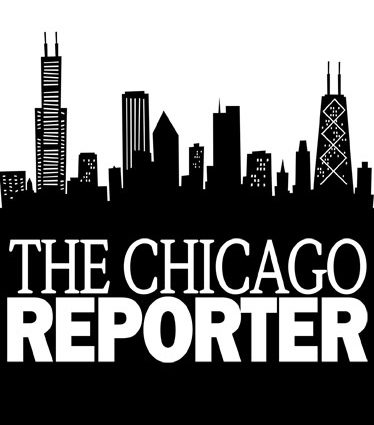 Check this space often for the Reporter’s unique perspective and voice on the social, economic and political issues of metropolitan Chicago. In our July August issue, the Reporter will check on the city’s effort to end homelessness and explore what it means to be homeless in the Chicago region and what the future holds for sustainable housing. Due to the current economic crisis and record foreclosure filings, many families have joined the ranks of the homeless, even those who’ve paid their rent on time. In our September/October issue, the Reporter will focus on commercial development and the enormous challenge to lure brand name chains to some parts of the region. As a result, many residents are forced to search far and wide for goods and services–”and their communities lose billions in consumer spending. In our November/December issue, the Reporter we investigate the future of the region’s job market: what kinds of jobs will be in demand and what kind of skills will be needed to work them? The global economy has siphoned thousands of jobs from the region and left many groups fighting over the remaining scraps. Daniel Burnham was a brilliant man, in part, because he understood that a vibrant Chicago was dependent upon vibrant communities within and beyond the city limits. If certain communities struggled, the entire region struggled. So if you learn nothing else during this year’s Chicago Matters: Beyond Burnham series, you should know that issues of racial and economic inequality–”a focus of Reporter investigations since its inception in 1972–”are matters that should concern all of us in the Chicago region.